For the record, I’m no telecommunications expert. That said, we learned of a government minister who racked up a phone bill to the tune of $59,059 in a matter of four days, from 29 January to 3 February. In her attempt to justify the wanton expenditure, we were informed that the large bill was a result of “roaming” options. And, as was expected, a couple of her colleagues came out in support. Photo: Tourism Minister Shamfa Cudjoe (left) in Parliament. The numbers $59,059 bothered me because recently citizens were threatened by a civil-engineer-turned-financial-guru that should we fail to pay our property taxes the government would rush in and confiscate our properties. Of course, ‘confiscate’ is my choice of word and not his. I am not sure he understands the concept since most things are literally way above his head. But a four-day phone bill of $59,059 bill is not easy to wrap one’s mind around, be it for roaming or for liming. Let us play for a moment with the numbers. Assuming that Minister ‘Roma’ roamed for four sleepless days, that would give her a nice round figure of 96 roaming hours. That would translate to about $615 per hour or $10.25 per minute. If we go out on a limb and assume that she slept for six hours and roamed in the shower, while doing her make-up, while having lunch, breakfast and whatever else, that would make her total roaming time 72 hours. In that case, her hourly roaming rate works out to about $820. I generally function on about four hours sleep—voluntarily!—but I figure most ministers aren’t really allowed to get much more. Not with a Prime Minister who might send you a text or a WhatsApp message at some unearthly hour and expect a prompt response. I think it is quite possible that Minister Roma may get no more than me. So four-hour beauty naps would leave her with a flat 80 roaming hours. On this assumption, her roaming skills would cost taxpayers $738 per hour. “Situation-specific,” we are told, so entirely justified. 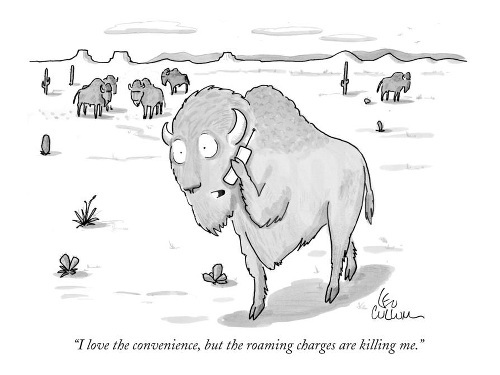 Photo: The terror of phone roaming charges. Since it is we taxpayers who pick up the ‘situation-specific’ tab, I think we are well within our rights to ask how many other tabs like this do we pick up on a monthly basis. After all, when government ministers travel, be they Romeos or Romas, one expects such travels to be “situation-specific,” even if that means on a golf course. Or perhaps the situation involves a shopping spree with a Government-sponsored credit card, with taxpayers picking up the tab? Or perhaps the same credit card minister years later walking into a bank with a bag full of cash and conflicting stories about the source of the funds but having no investigation launched into the whole affair, her private explanation to the Prime Minister or to the Finance Minister or to the Cabinet being deemed better than the bank’s? Why are we in T&T concerned about different strokes for different folks when there is crime to be concerned about? 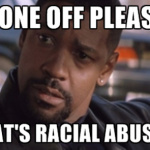 Isn’t ‘different strokes for different folks’ a reality everywhere in the world? But back to Minister Roma, who, remember, told us early on that “We in charge now” and that we have to “deal with it.” It is highly unlikely, even improbable, that she just woke up on the Friday morning of 29 February and decided to start roaming. (2) Is roaming now a habit? (3) How many bills of this or similar size have we, the taxpayers, paid in the past, unbeknownst to us, not only for Minster Roma and her current Cabinet colleagues but for their predecessors as well? (4) How many bills of this or similar size are we, the taxpayers, likely to pay in the future, unbeknownst to us, not only for Minster Roma and her current Cabinet colleagues but for their successors as well? (5) Is there a mechanism by which we can ensure that we, the taxpayers, get this information, the Freedom of Information Act perhaps? I have a difficulty believing that she ever anticipated that the bill would become public and provoke the outrage of the citizenry. For too long too many persons have used “the govament” for their own personal gain and enrichment. It happens when Public Service employees photo-copy books, when they print enormous amounts of personal material, when they make unlimited phone calls or when they abuse state property for personal use. And the list goes on. Someone needs to bell the cat and there is no time like the present. In these days when our tightened belts are already like nooses around our necks, taxpayers cannot afford to be saddled with the likes of Minister Roma or Minister Romeo. It has been said time and time again: “From those to whom much is given…” If we the taxpayers demand that such persons, who already get a bagful of allowances, be required to foot their own bill, I am quite sure that such persons will roam less. Or when they’re in Rome, they’ll take along a pack of cards and play rummy instead of roaming at our expense. What was Shamfa’s cost for the mini-bar? What did she charge to her room? Will be very interesting. Conventions are usually held in Hotels in the Bahamas, which are outfitted with free wi-fi. Airports usually allow for free wi-fi. The questions is, where was there an absence of free wi-fi to the extent that Shamfa had to use so much data? All one has to do is find out where was the Convention held and whether there was free wi-fi at that Centre? I’m guessing there was. Lasana, there is a FB post allegedly from Roamsingh-Shamfa about the same time that she may have been in the Bahamas. Perhaps she was using wi-fi for that post…..or perhaps not. I guess it was official business. I guess all with some exception are Perfect and unable to remove party politics from these discussion….. Amen! Hope all children are trained to be Perfect! Blaming without positive solutions for a better t&t ….. talk, talk, talk lol! Blaming without positive solutions? You mean like to check the costs before you run up a bill? Yes i am serious and an individual and will not think like you. All i see from these posting is politics! I could be wrong but many have said the same. You right, i also right QED. Have you ever travelled Fin? You ever used roaming? It is about taking practical measures to watch your costs. Very simple. Yes yes yes, read all my posting. Dont try to insult me. I know how it works, i design networks……. ok? Fin I’m responding to your last message. So I’m assuming you were able to figure out how roaming works then. And as Tourism Minister, I’d like to believe it wasn’t her first time on a foreign assignment. So why exactly is she she blameless? Who would you have blamed if you ran up a colossal bill on a foreign trip? Tstt? The Bahamas? Really? I don’t get what about this situation suggests that people are wrong to point the finger at Shamfa. Putting aside politics! If i send an engineer to work in city y or country x, he known that the phone is for business use with some exceptions i.e calling his family etc. I dont check roaming cost in the to city or country, what we do is purchase a short term foreign city roaming plan incl LD. 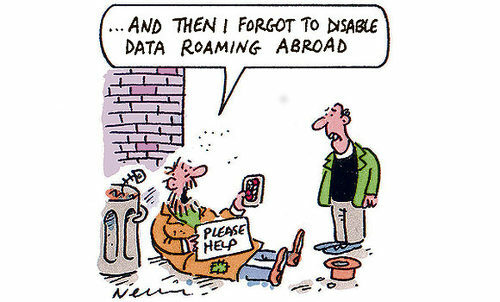 Data roaming is very tricky. In the Minister case, if she is dowloading large documents, then expect data usage to be very high. If just plain email, expect low usage. Did she use the roaming for personal use?? If no and there is an expectation for her to be in both places at the same time then, there is a cost! Now, i am not shock at the high cost because i have seen mid that cost. Now, there is a 1st time and lesson learnt! Many times we were able to force the carrier to reduce the invoice. Coming out from lessons learnt should be guidelines… procedures to not have another incident! Depending on your business, hotspot, hotel wiif etc cant be trusted for sensititive data, voice call no problem. I must say that Caribbean telecom networks gouge users. In t&t it should not be so expensive to call between Digicell and bmobile resulting in people having 2 phones. Such is what people should be protesting about! I may not have answered your question. if i am on business and productivity is expected, then yo better eat the cost or get someone to hold on while i am out of office… QED. You must know there will be a cost and you ought to check what the cost is likely to be. Anything else is arrogance or stupidity. Or both. These are austere times. She should know that. She isn’t 12 years old. This is her second year as minister too. The problem is people keep trying to excuse the wrong thing. When you start by saying that a stupid error was made, you will be finally heading in the right direction. Bottom line is that it’s safe to assume she would have done differently had that been her personal phone. If we’re honest enough to admit that then we should be honest enough to say that she was at best, careless in her regard for public funds. I would say there is a difference between personsal phone vs business phone having to be also working remotely i.e Teleworking. I am not sure you can compare them as such! If it is untruth that nothing was pressing requiring her attention at the office, then she is a micro manager and have no trust in her right hand staff…. ! It is amazing that this is taking so much discussion time! In general, with todays technology, cellular service in tnt should be a fraction of the cost and that need serious protest action! You’re missing the point spectacularly, but carry on. Maybe…. but it is what it is and we all dont have ALL the facts and raising blood pressure! Lol! Unity! Peace! Her phone. Her bill. That’s all the facts. What you raised about what she may or may not have doing… That is what we call speculation. It is we who are sticking to the facts here. But I’m happy not to carry on raising blood pressures too. Lol. Most likely TSTT adjusted the bill. Doesn’t excuse Shamfa’s negligence though. And some PNM supporters now aping PP supporters then. Their argument is if you can misbehave then so can we. So don’t disturb us while we are at the trough. Not surprised at all …. That is the insulting part. To try to use the excuse but x did it. There is a reason they are the EX administration. If they set your standard for conduct, why change them? Or is the subtle message such conduct is acceptable once it’s our party? Omg excellent info and i wonder if he would now delete his info. Thanks for that info. As they say in All Fours …. yo hang he Jack! You don’t believe that nullifies anything right Ezra? Because I actually mentioned that story to a PNM-ite who said we were making noise over nothing where Shamfa is concerned. Devant story was bacchanal then and Shamfa is bacchanal now. One doesn’t negate the other. Ezra, I agree that there and will be mightier issues that Shamfa including what is happening right now with the JLSC for instance. But I also believe that politicians should know in no uncertain terms what we think of misbehaviour at ALL times. Part of the reason the debate continues too is the manner in which it was dealt with. Why not criticise the PNM for allowing this issue to drag on by not taking immediate responsibility and promising better? Precisely. But they launch an investigation, one is told, not into the Minister’s slackness or otherwise but into TSTT’s billing system. Almost without exception, these politicians seem to think that they can do as they like with taxpayers’ money and get away scot-free. When, Ezra, will the playing fast and loose with taxpayers’ money stop, whether it costs us $59 or $59,000? It was raised in parliament, discussed, it is still under investigation. It is now officially part of the public record.The minister was clearly caught off guard. I don’t know what more is needed here. Should she come and touch our feet and beg for merciful forgiveness? My turn to sigh… (sigh). As a citizen I’m saying that this issue, for me, is not worth all this hoopla, especially, when other activities which can be considered criminal and involving far greater sums of money are quietly ongoing. But forget all that, Shamfa as good as thief we money, continue to rake her over the coals! At this point I would just agree to disagree. I have exhausted too much on this matter, in my humble opinion. People want blood. T&T is the only Country where permission is given to have a protest March on a busy Hwy walking on the curb. That should be a concern! Fin, did you share similar concerns when Patos walked from San Do? Yuh political drawers showing. Nullify no, wasn’t looking to nullify anything. But soon phone bills will be coming out of the woodwork. All I have been saying is that the folks calling for the minister’s resignation are hypocrites and that this phonebill is the least of our worries where gross mismanagement of the public funds are concerned. Ezra, how does Devant’s misbehavior excuse misbehavior by anyone else? Such an argument is morally empty in my opinion. It is just distraction. What I am asking is, this info was in the public domain. I recall reading it. Why did the then opposition, now gov’t do-report him to the Integrity Commission, write to head P.S. to find out why P.S. took so long to act, raise it in Parliament and call for how resignation? I could be wrong, but I do not recall any if that being done. If a minister violated a rule, what is the statute of limitation on punishment? I think they should both be punished for any rules violation…and if Shamfa did not violate our rules, then perhaps we need some new rules to be set. I believe that Minister Cudjoes Permanent Secretary is legally responsible to approve her spending. I would hope that the P.S. would refuse to pay that bill and Balsier House would need to rescue her. I remember when the P.S. at Sport refused to pay salaries for employees who went overseas to play for the national women’s team. Seems a bit unfair, but legally correct. All P.S. should inform their staff, including Ministers, exactly what will and will not be paid for before they travel. Exactly my concern. It seems as though the understanding is that P.S.s just rubber stamp expenses. If you have an allowance, then the responsible course of action is to get readout, separate personal from work and deal with it from there. Again, I remind that even if it is for work, was it an emergency to respond to everything asap? If you are at a conference, one would expect that it is okay to follow up after the conference, when you are at your hotel with access to WiFi. Things like just using common sense. I am still trying to get over a $25,000 phone allowance. Do all members bills reach that amount? And we don’t have money, Mr PM? Seems like ‘investigation’ is the new buzzword for this administration, just like CoE was to another. But doesn’t this situation. Just warrant a report-readout of data and calls used during period? I am waiting for the opposition to ask for breakdown for all ministers bills, including roaming while on vacation and official business. Does anyone know when.this $25,000 allowance was effective from? These charges has to result from downloading something, as someone who travels on business and is always accessible via telephone and email my bill has never been anywhere close to 59K for 4 days. Also if I was crazy enough to have such bill I would have to repay. Did she deny the issue? What we should be asking is whether if there are guidelines to prevent such because high roaming charges is not a new issue! Travelling on business i have had 2 instances of high roaming charges and from then on, we purchased roaming plans prior to travel or while in the roaming area. That cost of ld on a roaming plan is a fraction of non roaming plan cost. I would suggest that to prevent another incident, the government should have bmobile remove roaming from all government cell phones profile. This will force each user to preplan for roaming just prior to travel. The roaming option will be removed from the user profil when the system senses that the phone is in tnt. Clearly Miss Cudjoe is prepared to sacrifice her future political career over $59,059.20. Her monthly salary is approx $50,000 being both a Minister and an MP. Surely decency would lead her first reaction to be that she would pay the bill herself as it was HER error made. But, “we in charge now”. What has a beginning, will also have an end. Fin Callender so we should be punished because she did not do her due diligence and check the price of roaming in the Bahamas? We supposed to just we jammin’ still? How did that bill get leaked? I would say Educate all on managing their Telecummute cost. We live and we learn, punishment is not the way as suggested which to me is political. I have been burnt by high roaming charges and i am not the 1st and will not be the last. Now, if she used the roaming to access personal email, social media etc etc then that is a different story. TSTT tech support can easily check the usage to determine such. Hmmmm…..would be interesting if someone were to place a FOIA request to see the actual TSTT bill …. I don’t think FOAI would cover the specifics of that bill. 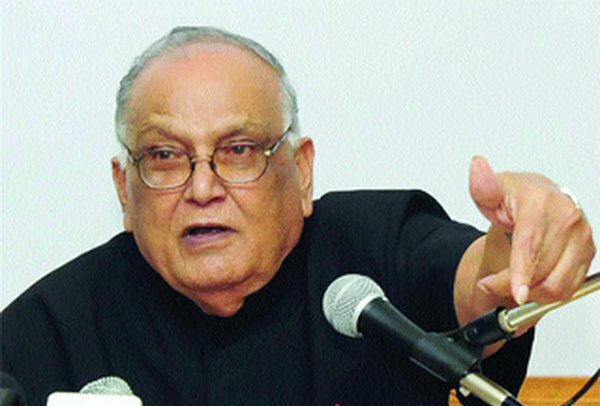 Right Ravi Maharaj? Ent yuh mean Mr balgobin Lasana? lol. Sorry. Not Balgobin either. There was a Ravi who worked with FOAI. I need to remember his surname. Balgobin has a specialty? ?? Of- course he does Lasana- it involves annoying others! Seriously, it is in the public interest to see the contents of that utility bill, $59,000 over a few days is a grotesque amount of money which is being paid for with public funds … especially at a time when the nation is in economic difficulties and the population is advised to tighten their belts …. Afra that’s the man. Rishi was who I was thinking of! Tanya Carr, I would like to get a figure for ALL members, and separate figures for when they are roaming on vacation/work. We need to see that these people are using our monies wisely. People are acting as if the minister siphon off 59000 dollars and gave it to her family or something! Have we received any money back from the LifeSport program? Anil gave his father MILLIONS, where are those funds now? Digicel jump up this week and say roam with them, brazenly using the minister’s story to market their services, when yuh read their fine print, DIGICEL has no roaming partners in the Bahamas! Is this eye opening, yes! And the government should put things in place to prevent a recurrence but it fades in comparison to the millions that was scurried away deliberately by those currently beating the drum against the minister. Those are the questions this nation want answered. Ask Shamfa if she knew what the charges were and willingly went ahead anyway. I don’t know of her previous travels but as DIGICEL and all found out this week, they DON’T have roaming partners in all territories, and they are a communications provider! Incompetent is not the word your looking for, it’s ignorance. Ok, I don’t have 59K so it’s not small change but as we both have said, there are much bigger fishes to fry. I would rather we go into the kitchen now instead of waiting for the next election cycle. What has PNM done to recover the lost millions? Because they promised to go after it and I was thrilled to hear them say so. That was one of the reasons I went out to vote. Really Lasana Liburd, you believed the tripe? ? Ok if you want to talk like that and use life sport as a comparison lets start to talk about every political party and every single political leader that has ever held OPM in Trinidad and Tobago if you want to talk about most recent corruption lets talk about UDECOTT and Calder Hart and also lets begin to talk about the 90 million spent on the BCL stadium which last time i checked isn’t still completed. I bet if it was the other politicians on the opposite side had accumulated that bill you would have not been singing that song. we still talking ‘but dem do it too?’ This place real backward yes. Yes, let’s do that because Calder Hart came back to this country and said this is my address, call me when allyuh ready. He is probably the single most reason why Rowley is Prime Minister today. If you want we can go back to Gas Station Jean days if you want to! People often think I’m a PNM apologist but I keep assuring people that I’m not! 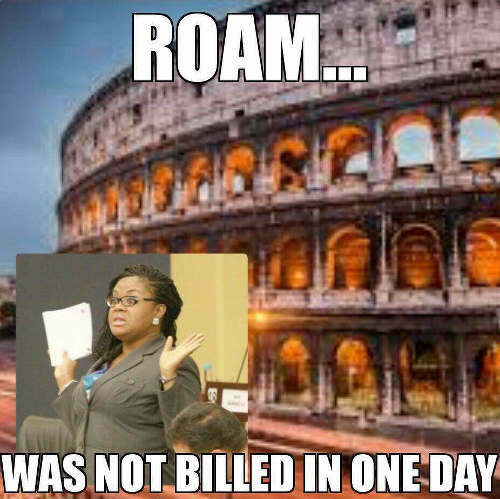 The minister went to the Bahamas on government business and utilized roaming data. Was it government business or was it facebook and instagram? I dunno, but was in shock of the bill afterwards. Did anyone advise her of the charges before utilizing the facility? The government has asked TSTT to provide more details. This is not corruption, it’s not missappropiation of funds, it’s not nepotism, she didn’t comingle personal funds with funds for sine other intent. She didn’t collude with the data provider in the Bahamas to get kickbacks. I’m not sure but I don’t think she has any family members working for the data provider. What is the point on harping about it? Yes, I would like to know Robinson Regis source of funds for her deposit. Yes, I want to know who else employing there family and friends of their family. Yes, I want accountability for the public purse. Somebody need to call Calder Hart but I am also of the opinion that the previous administration know damn well why they haven’t! I have no qualms in asking for Rowley to call him back to Trinidad to answer some burning questions. 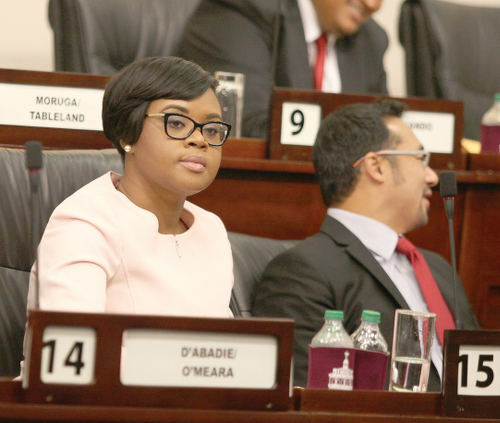 Cudjoe’s phone bill that is under further investigation… is not even a drop in the bucket for monies spent that ahould be under investigation. Was it her first time out of the country Ezra? The first time she used her phone abroad? This is the Tourism Minister right? What you say about Calder Hart, the UNC/COP could also say about Anil Roberts right? He is free too. Does that mean they are both above reproach? Are we saying that there is no cost for incompetence? Or that incompetence doesn’t really matter? I wouldn’t make too many pronouncements about her phone usage just yet because we only have the bill–not how she earned it. There are more heinous examples of wastage for sure Ezra. I agree. But remember this is a country that is really hurting at not only the abuse but the arrogance that often accompanies it. Apart from however they make that debt right, we would also like some acknowledgment from the politicians that they understand what their role is. And it isn’t to be gods. For example, if it was your employee who produced such a bill, would you demand to know exactly how much of that was work calls? And I don’t mean a verbal assurance eh. I mean proof. Well, Shamfa is our employee serving at our behest. So we want to know. This isn’t to pick on her personally. But it is to set a tone for the type of behaviour we want in office. The matter is under investigation, it hasn’t been swept under a carpet… yet! Methinks ‘incompetence’ is entirely the correct word. ‘Ignorance’ I would reserve for the 80 yr old man who has never left the country before and had no clue that he needed to turn off data roaming. Isn’t she the flippin’ TOURISM Minister?? Ezra, it sounds like the Govt is investigating TSTT. That’s not the sort of investigation I had in mind at all. In fact that would be hilarious if it were not so sad. We don’t want an investigation into TSTT’s rates. We want an investigation into Shamfa’s phone usage. Politicians like to play smart with foolishness yes. I have no intention of playing that game with them. On Wired868 stats, most of our readers use Flow. Then TSTT. Then Digicel… Massy comes in about fifth. Roughly five percent of Wired868 readers use Massy Technologies to access our website. Now that ent scientific research eh Mark. But it does make me wonder a little about the valuation of these companies. You know my service provider Lasana? Nope. What do you use Sav? I’m TSTT through and through. Til death (or $59,000 roaming bill) do us part! ?? I cuss way TSTT and give them back everthing. I sleep better at nights now! FLOW works very well for me here in Belmont (knock knock). Could some one, preferably an investigative journalist, please track down the Police officer on the plane to Tobago who did not know about phones and make him Sha-Roma’s Communications secretary..with the savings we will NEVEr have to pay Property tax again..Ever.. It think it is careless to comment on a situation using hypothetical and essentially made up assumptions when accurate information is available. Spend sometime getting accurate information before publishing. An opinion that is not based on facts…..I’m not sure how much that is worth to me. The day of Divine Judgment is coming soon. Every politician that robbed the poor will answer for it. The bill has been paid. It was confirmed in Parliament yesterday. 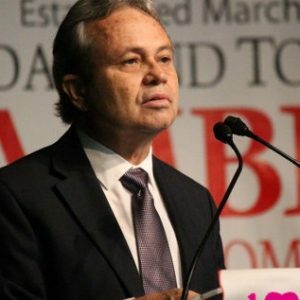 Imbert and Cuffy came out in defence and blamed the Bahamians for the charges, then why are they saying there’s an investigation going on with TSTT? Another cloak and dagger situation? I posted elsewhere where the comment was that citizens were ‘politicising’ the issue. I think with all the recent taxes and cuts, citizens are feeling it in their pockets. The PM advised us to ‘tighten our belts’. The issue has nothing to do with how much ‘official business’ you could have conducted while out of the country. Where as Minister you did not find time to meet with the union to advise/discuss retrenchment, and two bodies under your watch were closed down. Discretion could not have been exercised and used data every so often to check and respond to matters? Keep in mind, if you are at a ‘conference’, it would be very rude (to put it mildly) to constantly be on your phone. So the PM seemed to have had time to advise the nation about tightening our belts, but the memo missed his cabinet? Or is animal farm this gov’ts playbook? Greer Cave, I saw someone said it’s actually $2,500 limit for cell phone, and not $25,000. Would you know? 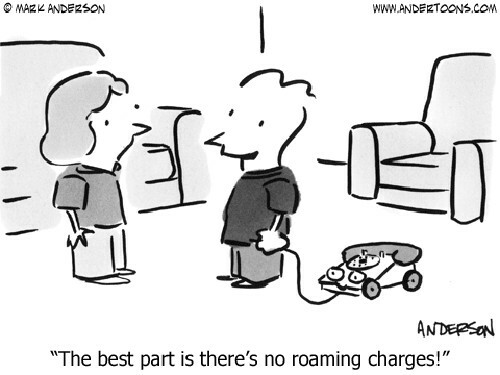 And if that is to facilitate roaming, they may be able to justify that. But what about staying in a hotel with free WiFi, buying a sim card and use a dual SIM phone so your contacts on it…all these options and we want to justify phone allowance of $2,500, which is more than some people get for the month? We also have free calls on Skype, whatsapp, even fb! That seems to be rub for most people. I believe she would have to repay approximately half the bill. I have know of instances where public officers were instructed to pay for any calls over their limit, especially overseas calls. So, the P.S. (Accounting Officer) is going to instruct the Minister they have to repay the difference? The same PSs who are put on Boards by their Ministers, earning more money? Lol. Honestly, with so many new PSs and DPs (inexperienced, acting), they are few and far between. I recall the days when public servants ruled the roost, saying ministers come and go, but they (public servants) knew what had to be done, and how. There appears to be scant respect for the public servants. Of course, what appears to be the new norm of transferring PSs was not prevalent then either.